For the last 15 years, the Beat Museum has been a meeting place for writers and artists of all kinds, hosting a wide array of community arts events, educating young people about the importance of the arts in their own lives, and curating an expansive archive of rare books, art and ephemera from the Beat Generation. 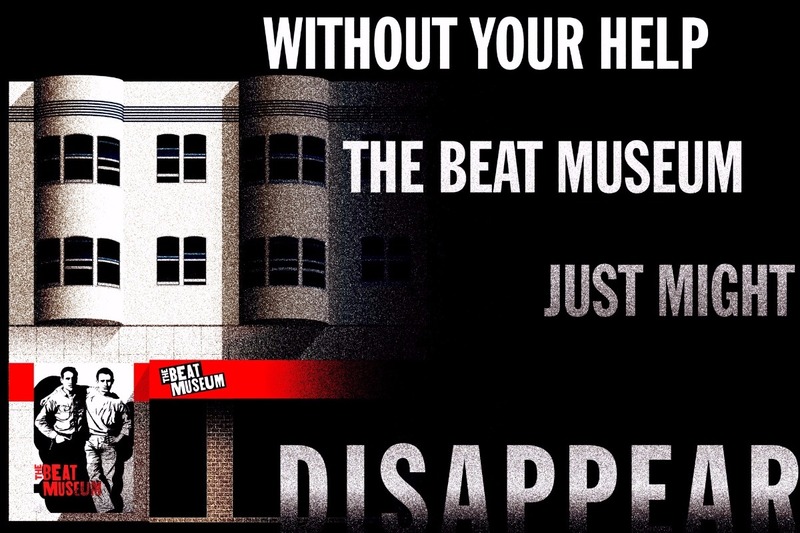 The Beat Museum faces an impending seismic retrofit of the building we've called home for the last 12 years. Work on the retrofit is expected to begin sometime next year, and we'll likely need to close for 6 months during construction. While the retrofit itself will be managed and funded by our landlord, whether we'll be in a position to reopen after the retrofit depends upon whether we can raise $50,000 to cover our portion of the construction costs. If you appreciate what we do, if you care about preserving San Francisco's unique literary tradition, please consider making a donation. Please note: our 501(c)3 charity was established in 2007. It's official name of record with the federal government is "Foundation for Creative Expression" dba "Friends of the Beat Museum."